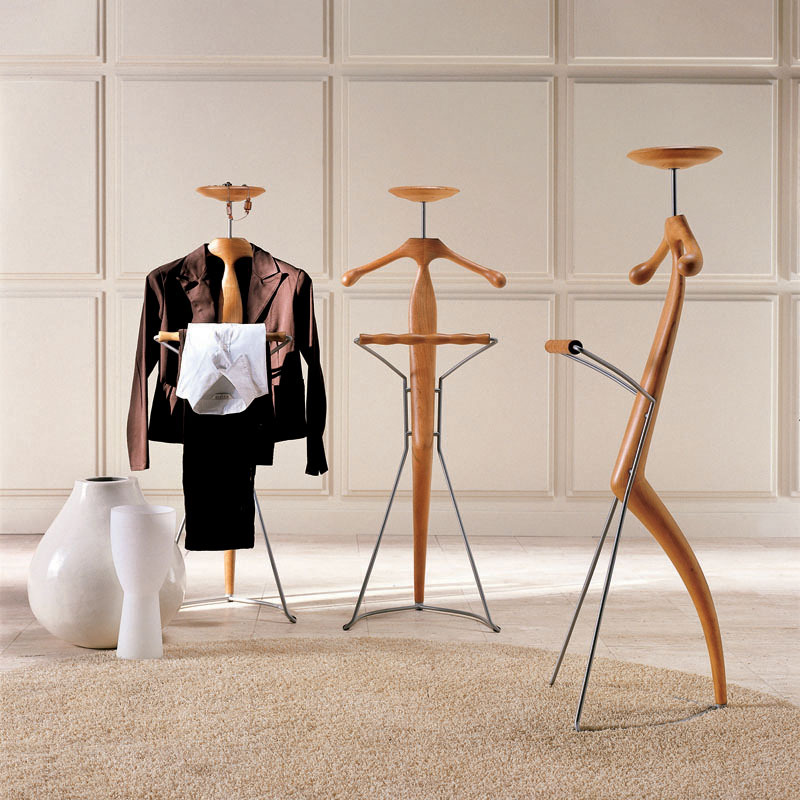 The unusual lines of the Sir-Bis contemporary clothes stand are an eye-catching addition to a bedroom or living area. Sir-Bis is perfect for organizing clothes and accessories thanks to the small saucer located on the top. Made in metal and canaletta walnut.